This unplanned newsletter brings us heart-wrenchingly back from the enjoyable mental explorations of science fiction to a very real, senseless human tragedy that struck all too close to home. New Zealand has long prided itself as being a safe place to live and grow your families, no matter your race, ethnicity, creed or religion. And for a very long time, this has been the case. Terrorism was something that happened somewhere else – not that is should happen anywhere. New Zealand’s innocence has been shattered by the events of yesterday afternoon. On Friday March 15th, 2019 (NZT),49 people across two separate Mosques were shot dead in a chilling, coordinated terrorist attack that was live streamed to the internet by the shooter as he slaughtered families and children. [17/03/2019 Update] Another body was found in the Al Noor mosque, bringing the count to 50 dead. The act of terror itself was horrific, but the fact that thousands were able to (and did) view the event through the shooter’s GoPro, looking exactly like a First-Person Shooter game, sickens me to the bottom of my gut. Fortunately the 17 minute video was taken down, but not quickly enough. I know several people who have seen it, and those images of dying children and their families can never be forgotten. Yes, New Zealand was safe enough – the police here aren’t even allowed to carry guns – but they have access to some in squad cars, locked up in case of extreme need. There are armed offender response teams, but those only respond when a situation is well entrenched, and those are few. Yesterday, semi-automatic weapons were visible throughout the country as police and armed forces responded to protect potential community targets, as the killers’ plan was not just to hit Christchurch. Vehicles equipped with IEDs (explosives) and a large arsenal of weapons were intercepted, and the suspects arrested. Terrorism effects entire communities, cities, and countries. It strikes the hearts of all people – when the terrorists attacked the Mosques in Christchurch, they didn’t just attack a community of Muslims. While New Zealand may seem small and very far away, we hope that you can reflect on the horrors inflicted on a community similar to your own. If you would like to help support NZ’s Muslim communities during this tragic time, you can find an expression for your grief or give support here. If you pray, pray for them in their time of need as the lives of communities have been shattered. 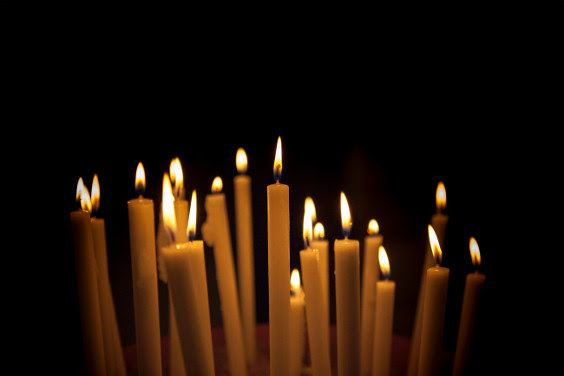 Vigils have been held across New Zealand today to mourn the victims. I hope you share this message – no community, anywhere, should have to endure such acts of hate. Stay safe, be caring & compassionate, be understanding – it is in embracing diversity that we become better people.